KC Restoration recently completed work on the lobby of one of Kansas City’s top commercial real estate firms. In August, Newman Grubb Zimmer was voted the best by readers of Ingram’s: Kansas City’s Business Magazine. 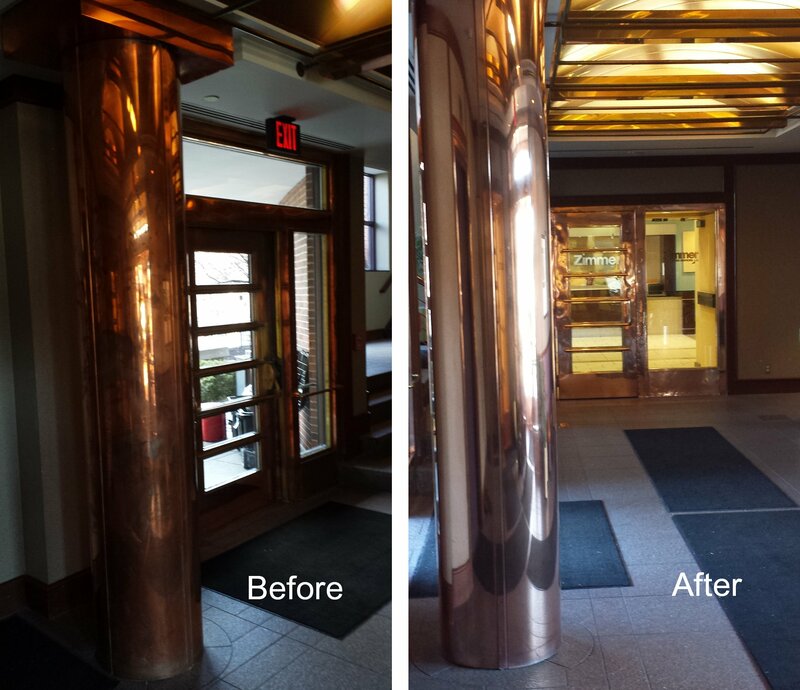 We appreciated the opportunity to restore their lobby to a polish to match their award-winning reputation. 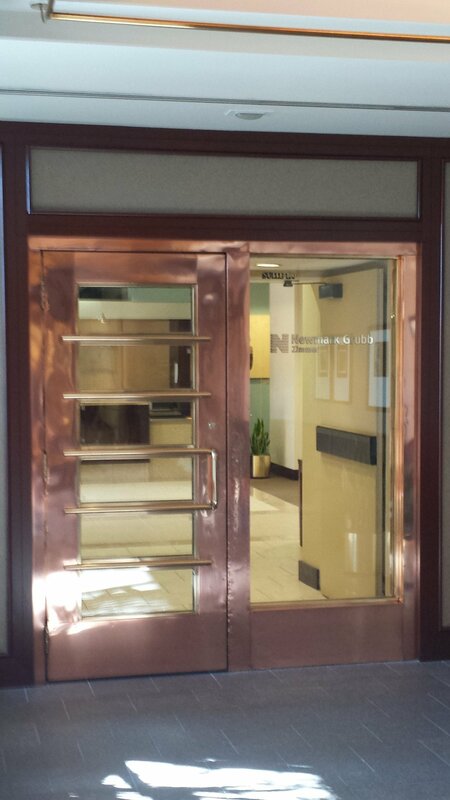 As you can see in the photos, the copper used throughout their lobby had become badly tarnished and uninviting. KC Restoration transformed the reddish brown metal into a brilliant copper with a protective coating to keep it beautiful for years to come. 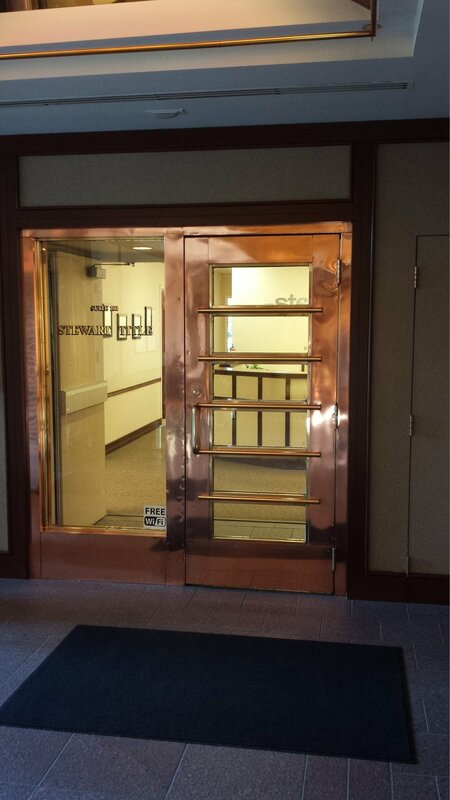 If the metal accenting your real estate is in need of a similar transformation, contact KC Restoration to learn how we can help you make a first impression that shines.